After the completion of police investigations and when the Prosecution has decided to formally tender charges against an accused person, the police investigating officer will issue a notice to the accused to attend Court. At the first mention, the charge(s) will be read and explained to the accused person, who can decide whether to plead guilty or claim trial to the charge(s) against him. If the accused elects to plead guilty and no further investigations are required, the case will be fixed for a mention for him to plead guilty. If further investigations are required by the Prosecution, or if the accused would like to engage a lawyer, the judge in the first mention court can grant an adjournment (ie. postponement) of the case. If the accused elects to claim trial, the first mentions court will fix the case for a Pre-Trial Conference (PTC). At the first mention, the Prosecution may also ask for an increase in court bail (eg. if more charges are tendered against the accused person). 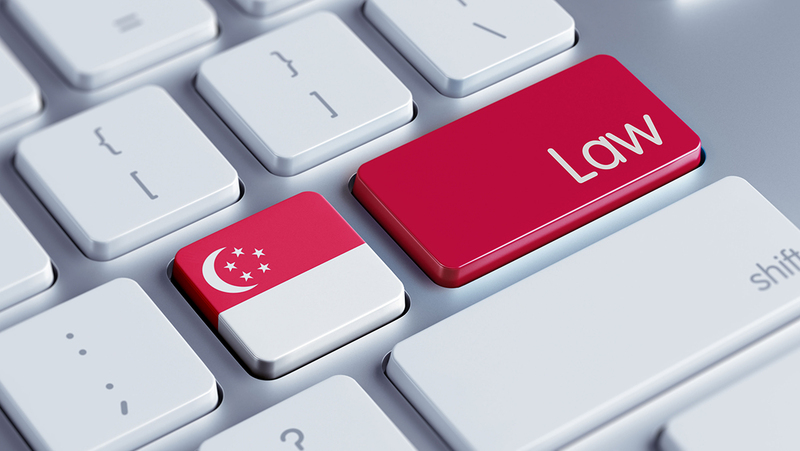 If the accused is able to find a Singaporean bailor to furnish bail, this will be processed at the State Courts bail centre. If not, the accused will be remanded. Where criminal case disclosure procedures apply (offences listed in the Second Schedule of the Criminal Procedure Code), a CCDC will be fixed. The CCDC procedures provide for a limited form of disclosure for both sides to reveal the lists of witnesses and exhibits they intend to rely on at trial. Witnesses’ statements to the police are not included as part of such disclosure. Each side will prepare their “case theory”, which is their version of events which they would like to present to the judge, a neutral party who will make a finding on the appropriate outcome of the case according to the evidence presented by the Prosecution and the defence. Evidence presented by each side can include: oral evidence (through the testimony of witnesses) or objective evidence (eg. documents, medical reports, photographs, CCTV), etc. On the first day of trial, the charge(s) will be read again to the accused, who will confirm whether he is still electing to claim trial. This will either be read by the court clerk (if in English) or the court interpreter (if the accused speaks in another language). If the accused elects to claim trial, the Prosecution will begin presenting its case by calling the witnesses it has to prove its case. In more complex cases, the Prosecution and defence may decide to each present an opening statement setting out the evidence each side will present to prove their respective cases. In criminal cases, witnesses generally give their evidence orally in what is known as the examination-in-chief or evidence-in-chief (EIC), which is led by the prosecutor conducting the trial. Questions in EIC should be general and not leading, meaning that the story should be told by the witness (eg. asking ‘what’, ‘why’, ‘how’, ‘who’ questions) rather than ‘put into the mouth’ of the witness through specific ‘yes’ or ‘no’ questions (eg. was it the person sitting in the dock that hit you? ), which are known as leading questions. After the examination-in-chief, the defence counsel (or the accused acting in person) has the chance to cross-examine the witness. Leading questions are allowed to be asked in cross-examination. The purpose of cross-examination is not always just to attack the witness’s testimony, but sometimes to elicit facts from the witness that may be helpful to the defence case. At the close of the Prosecution’s case, if the Court finds that there is some evidence not inherently incredible to make out the charge(s), the Court will call upon the accused to give his defence. The accused can then choose to testify under oath, or remain silent. If the accused chooses to remain silent, an adverse inference can be drawn against him. In the defence case, the defence counsel (or the accused acting in person) leads the EIC of each of the defence witnesses, while the prosecutor has the opportunity for cross-examination. The burden of proof on the Prosecution at this stage is “beyond reasonable doubt”. At this stage, both the Prosecution and the defence (either the accused in person or his lawyer, if he is legally represented) will have the chance to make closing submissions (oral or written) to the judge on why their version of events should be believed. Verdict may be delivered on the same day or a different day, depending on the complexity of the case. If the accused is found guilty and convicted, the defence can then present a plea in mitigation (eg. why the accused deserves a lighter sentence). If either side is dissatisfied with the verdict and/or sentence, they have 14 days to file a notice of appeal to the High Court. If this deadline is missed, leave from the High Court will have to be obtained before filing a notice out of time. It is important to have access to legal counsel sooner rather than later in the court process. Contact one of our dedicated criminal lawyers who will be able to give you quality advice and personal attention to your specific legal troubles.